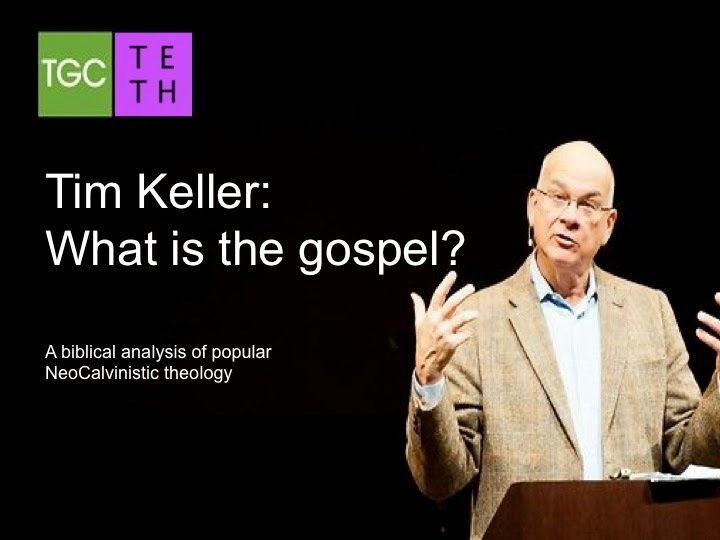 Tim Keller - What is the gospel? There are numerous NeoCalvinists in evangelicalism who claim to be preaching salvation by sovereign grace. Such men make regular, firm, and absolute declarations regarding the abject depravity of man. On that much we can agree, but when taken alongside the totality of their teachings on the doctrine of salvation, we find them contradicting this fundamental precept they so readily "affirm." Of what value is the notion of total depravity if, in the final mix, it is cast aside in one's ordo salutis or relegated to an unknowable mystery? When publishing a commentary on some work of theology it is my preference to provide a significant portion of the work alongside my commentary. This is to help ensure that my commentary is accurate and that I have not merely selected certain statements out of context to set up as theological pinatas to take a swipe at. 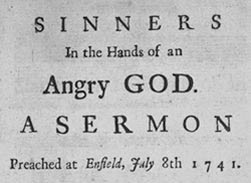 It was my intention on this post to provide the famous Jonathan Edwards sermon Sinners in the Hands of an Angry God in its entirety. 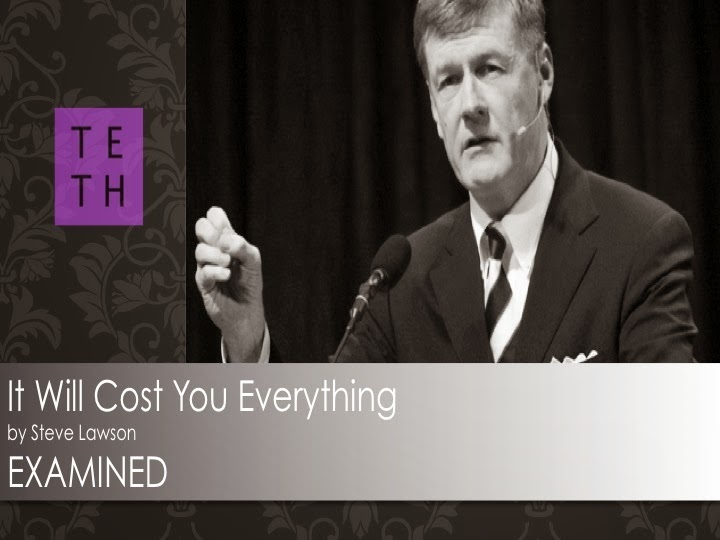 After completing my commentary however, I found the work to be so ponderous and disagreeable that I have decided instead to summarize the sermon in outline form and to provide commentary regarding certain of Edwards's comments which are most objectionable to anyone who believes that salvation is by sovereign grace. 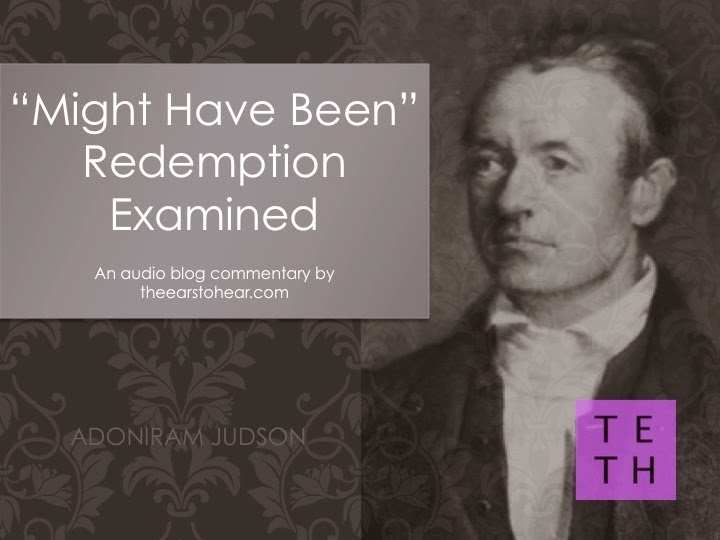 In a recent YouTube dialog regarding a video by Paul Washer, I engaged in the following discussion on the doctrine of Lordship Salvation. It is all too common for Christians to defend the patron saints of their theological camps in the manner that this brother does, and not upon the validity of the doctrinal truths these men promote. I'm passing this dialog along as an example of how these conversations tend to go. 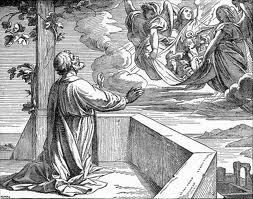 God's Word clearly states that Cornelius was saved after He had heard Peter's proclamation of the Gospel. Your assumption that he had already been a regenerated man when Peter arrived at his home is just sheer nonsense. 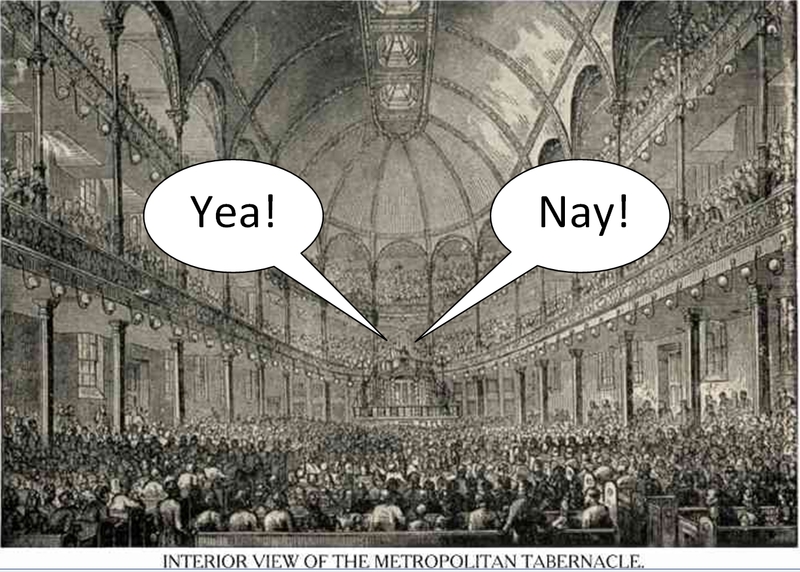 Will The Real Spurgeon Please Stand Up? Over the years I have made note of the liberal quotation of Charles Spurgeon by men whose doctrine of salvation runs across the continuum from Arminianism to Calvinism and all points in between and beyond. 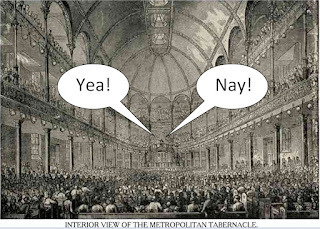 It seems that the blue-carpet, sign-the-card, mourner's-bench, raise-your-hand Arminian wants Spurgeon on "his side" of the battle every bit as much as the most strident of Calvinists. I suggest that this is the case because Spurgeon possessed a double-minded soteriology, believing that both God's sovereignty and man's responsibility are involved in the salvation of men's souls. As a result, he was unstable where his preaching on salvation is concerned - at times affirming great truths, at other times denying them. The doctrine of Lordship Salvation (LS) has certainly made great in-roads in evangelicalism over the last two decades. The writings and sermons of John MacArthur and his numerous disciples have, to many, become the theological standard whereby biblical orthodoxy is assessed. This is in spite of the fact that LS theology is riddled with antinomies and contradictory assertions. Perhaps nowhere is this more on display than in the LS assertion that the bible makes no distinction between sonship, or eternal salvation; and discipleship, which is walking in obedience. The fundamental issue with the LS assertion that there is no distinction between eternal salvation and discipleship is brought to light when one considers the bible’s testimony that eternal salvation is by grace and not works (Ephesians 2:8-9), alongside the bible’s testimony that discipleship comes with great personal cost (Luke 14:26-27).